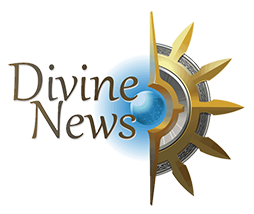 Over the next few weeks, The Divine Forums will be receiving a major change. We'll be upgrading to XenForo 2 (hooray!) and will be changing the layout slightly. 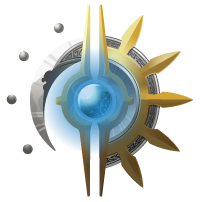 During this time however, the forums may have periods of downtime while we make sure we're ready to migrate. User accounts will migrate - but we've decided to start fresh with the posts! Turning over a new leaf for 2018! If you have not read it first, click here to read our post on our roundup of what has happened in 2017. So, onto what the main things we are currently planning for 2018 are. This year we have plans for a huge revamp of the entire server. This is including the long-awaited Epic Survival world as well as a whole new exclusive minigame! We shall go into this in more detail later in this post. Another year has come and gone! We would not be here today if it was not for all the staff and community who have worked so hard on making this server what it is today. We have had some ups and downs, but our community stands strong and united as always. We are very excited to bring forth this new year as a team and community. We want to discuss what we have planned for the year ahead. But first, let's look back at what we have done this past year on The Divine! Forum is back in action! As you may have noticed, the forums have been inactive for quite some time. I would firstly like to apologize on behalf of all the team for them getting to this stage. However, we are now working on making the forums a hub for all things Divine. Over the coming weeks, we are going to be adding many features and other cool things to "Make the forums great again!". We'd love to hear your feedback on what you think we should add to the experience, if you have any to give please leave this in the 'Feedback' section.